SIDNEY SIMMONS, b. Abt. 1854, Mississippi17; d. Bef. 1860. WILLIAM E. SIMMONS, b. December 1858. Biography* � The country surrounding Nile, in Southeast Attala, is quite new and fresh, when compared with many other portions of the county. In traveling through this community, the observer will notice the absence of old, worn-out broomsedge fields, but instead thereof, a freshness which give the country the appearance of very recent settlement; for there are large quantities of splendid farming lands in this section, still covered with virgin forest, only awaiting the woodsman's axe to convert them to splendid farms. Very few of the settlers of fifty years ago in the community are now living. John L. Atkinson, BaileyOliver, William Culpepper, and Thomas J. Hanna are some of the old settlers still here. Of these, William Culpepper is one of the few survivors of that gallant company of "Minute Men," which constituted the first company that left Attala in 1861 for the Confederate war. Mr. Culpepper fought through the entire war, in the Army of Virginia, and bears evidence of his service in the shape of wounds received in battle. He lives a quiet unostentatious life, on his little farm commanding the love and respect to the surrounding community for 'Uncle Bill" as he is familiarly known, is a welcome visitor everywhere in the neighborhood, and even the little children are always glad to see and welcome him, in their midst. Wm M. Culpper, 24, M, Laborer on Farm, RE=$0, PE=$150, MS.
E-mail written Nov 2003 to Attala Co. MS List at Rootsweb (e-mail address) from Eddie Mickel, e-mail address. W. Culpepper, 34, M, Wh, Farmer, RE=$0, PE=$0, MS.
William Culpepper, Self, M, Sng, Wh, 44, Farmer, MS/SC/SC. Elizabeth J. Culpepper, Wife, Wh, F, Jun 1844, 55, Md-10 yrs, ch 0/0, MS/AL/AL. History of Kosciusko and Attala County. B.F. Culpepper states his age as 78, born in Henry County, Alabama, resided in Texas 34 years. Resided in Upshur County 34 Years. Post Office Gilmer, Texas. Occupation-farming. Witnesses declare his Military Records. There is not one from the state. Main Witness 'J.L. Smith" declares before County Judge W.H. Mc Clelland, Upshur County, Texas. I personally know that B F Culpepper was a Confederate soldier and that he served in Company "K" of the 15th Alabama Regiment (Infantry). I saw him in the service for almost four years. I was a member of Company "H" of the same Regiment-the 15th Alabama and saw B F Culpepper almost daily. I know that he made a good and faithful soldier and that he never did desert his command or abandon his post during the War. I know he served till the surrender and was surrendered with General Lee's Army at Appomattox Court House in Va. on the 9th day of April 1865. Another Witness 'J.W. Allen' states he has known him since 1861. He states that B.F. Culpepper enlisted 1861 Company K 15th Ala. Regiment, Henry C., Ala. Service about, 4 years & 6 months./ His was signed before A.T. Winkle J P and Exofficio Notary Public Franklin County, Tex. 3 September 1913. Benjamin Culpepper, Signed 1 Nov 1858, 120 acres in (a) NENE Sec 25, Twp 5-N, Rng 28-E, (b) SWSW Sec 19, Twp 5-N, Rng 29-E, and (c) NWNW Sec 30, Twp 5-N, Rng 29-E; all in St. Stephens Meridian, Henry Co., AL. Benjamin F. Culpepper, 24, M, Farmer, AL. Submitted by Chip Culpepper in July 2002 from the Regimental Muster Roll from a website dedicated to the 15th AL Infantry CSA http://www.mindspring.com/~redeagle/15AVC/muster.html. The primary source cited by the 15th AL website is William C. Oates, The War Between the Union and the Confederacy, pg 27. Benjamin F. Culpepper, Signed 1 Jun 1875, 160 acres in Parts H, J, K and L of Sec 31, Twp 9-N, Rng 29-E, St. Stephens Meridian, Henry Co., AL. Micajah Culpepper married Nicey Armstrong on 15 Jan 1860 in Henry Co., Alabama, Book 1821-1868, page 340. Nicy Culpepper, 18, F, Farmer, AL. Mary E. Singleton, Servant, F, Wh, 49, sng, GA/GA/GA. Andrew Culpepper married Eliza Armstrong on 2 Oct 1859 in Henry Co., Alabama, Book 1821-1868, page 325. Eliza M. Culpepper, 23, F, GA.
Nancy Culpepper, Dau, F, sng, Wh, 20, At Home, AL/AL/AL. Amanda Culpepper married Matthew Blanton on 7 Oct 1860 in Henry Co., Alabama, Book 1821-1868, page 372. 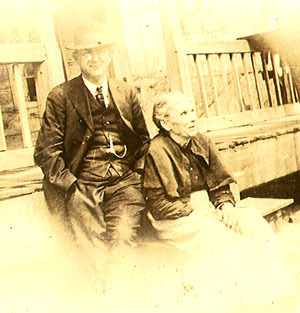 Thomas J. Culpepper married M. A. Armstrong on 25 Jan 1866 in Henry Co., Alabama, Book 1821-1868, page 523. 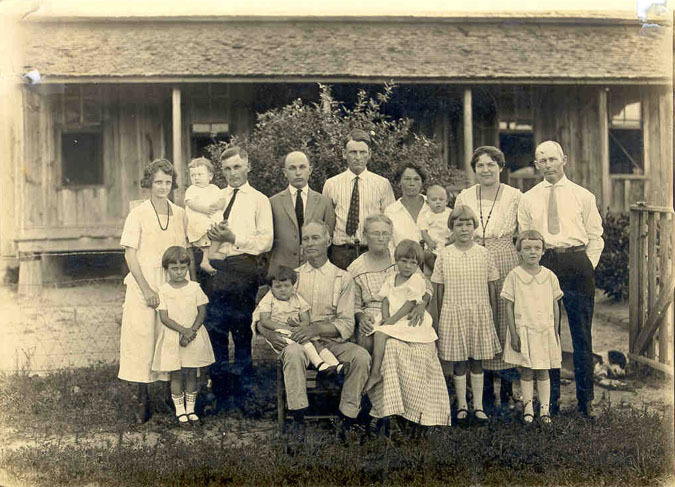 Application states she was married to T. J. Culpepper who died 12 November 1895 in Upshur County, Texas. I was married to him on the 15? day January 1866. (That ? is in with the date) I was married to him in Henry County Alabama. She states her age as 70 years and (note) born in Henry County, Alabama. Resided in the state of Texas 30 years. Resided in the county of residence 30 years. Post office address is Gilmer, Texas Route No.4. She states that her husband's full name is Thomas Jefferson Culpepper. Witness 'J.T. Culver' (his age 71) and J.M. Glanton (age 70) states they have known her husband since 1863 when they were in Company "E" of the 57th Alabama Regiment of Infantry. J.H. Wiley was Captain. 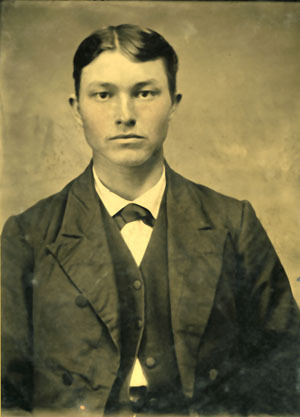 Thomas Culver 1st Lieut. He was in the Infantry He was never commissioned by the President. He was a Private. Son, C.T. Culpepper (assume to be Charles T) of Gilmer, Upshur County Texas, handled Warrant for Martha or M.A. Culpepper who died in the home of her daughter, Mrs. D.B. Lewis, on the 11 day of Jan 1922 (note the death date and the 10th was there and marked thru and 11 replaced it). This portion appears to be filled put by her son and signed by him. (We also show no Lewis in CC site for her daughters). Martha or M.A. Culpepper died in the town of Noonday, County of Smith Texas. Certificate of Undertaker also shows her death date as the 11th of January 1922 and prepared her body on the 12th of January 1922. I can't read the cemetery name very well but appears to be; Wortham, Hortham Cemetery located in Smith County Texas. Mortuary Warrant Account; shows her Casket and Sroud was selected Jan 6,1922 for $79.10. Son C.T. Culpepper signed certificate. Sarah Caroline Culpepper married Jordan Arnold on 22 Feb 1866 in Henry Co., Alabama, Book 1821-1868, page 528. 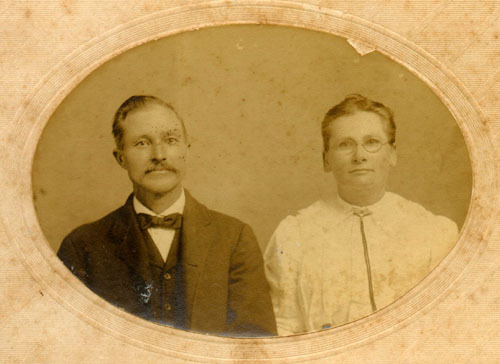 Upshur Co., TX: Elbert B. Culpepper and Etta Dearmore, 23 Oct 1884. Etta Culpepper, Wife, F, 56, TX KY MS.
Martha E. Culpepper, 1863 – 1945. E-mail written Sep 2005 to Warren Culpepper from Paula J. Mahan, e-mail address. "I am the widow of J.P. (Governor) Culpepper, deceased, who departed this life on the (blank day, blank month) 1898, in the county of Panola and Texas." 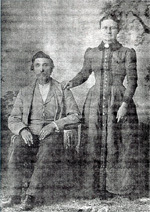 She married him 1 Feb 1865 in Quitman County, Georgia, and states her current age as 64 years. She was born in SC, has resided in the state of Texas for about 27 years and in Harrison County, Texas for about 2 years. Her P.O. was Ashland, Texas and her husband's full name: James Pickens (Governor) Culpepper. "Edward Clayton CULPEPPER, (13 Jul 1875 - 31 Aug 1965) is buried at Berea. He is listed as the son of James Percy CULPEPPER and Charlotte Matilda SHARP. He was married to Lela Mae CRAIG, (9 Jul 1882 -23 Apr 1967), daughter of William Wallace CRAIG & Catherine Matilda FARROW. Cemetery record lists three sons: Curtis, Percy and Alvin, and one daughter Lessie HAGEN. Obituary lists Curtis, Jack and Alvin; also Lela Mae's sister, Mrs. Bettie SHARP of Beckville, Texas." Joseph Culpepper, 13, M, AL. James P. Culpepper, 25 Oct 1841 – 1 Aug 1898. Sarah Barkalow, Ancestry.com. Texas, Death Certificates, 1903–1982. 6. Jordan B. b. 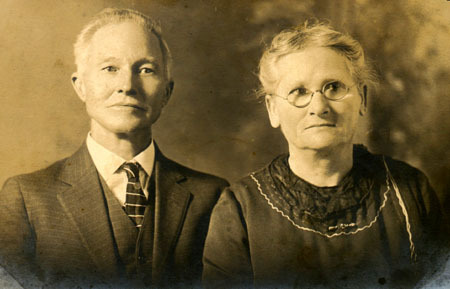 17 Aug 1846 in Henry Co., AL, m. Sarah Caroline Culpepper on 22 Feb 1866 in Henry Co., AL, These are my g grandparents. 8. Sarah Elmeda b. 12 Jan 1854 in Henry Co., AL m. W. J. Kirkland on 29 Dec 1870.